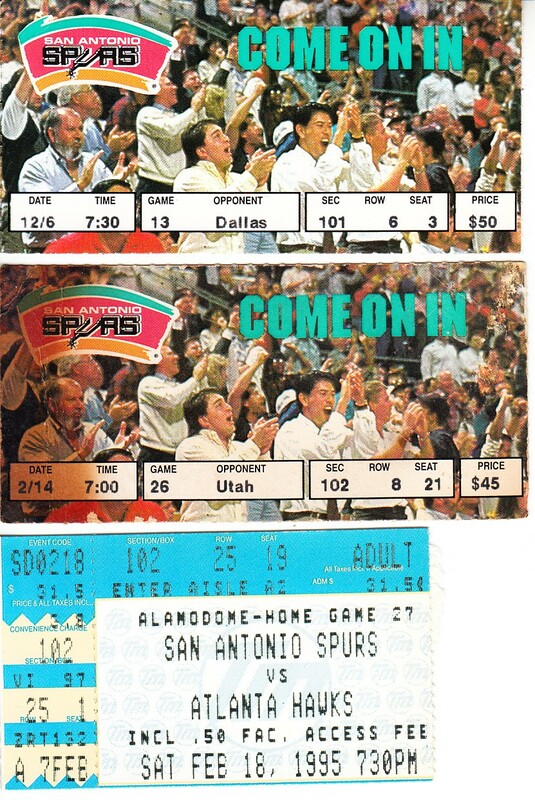 Lot of 3 different San Antonio Spurs 1994-95 home game tickets: 12/6/94 vs Mavericks, 2/14/95 vs Jazz (stained) and 2/18/95 vs Hawks. 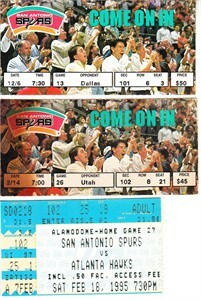 The David Robinson led Spurs advanced to the Western Conference Finals that season. ONLY ONE LOT AVAILABLE FOR SALE.